Winterhaven Yearbooks – It’s time to pre-order a yearbook for your student/s. The price is $15.00 until March 23, after which the price will go up to $17.00. 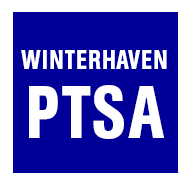 Please pay by check in the office, with the check made out to Winterhaven, or payment can be made online at https://www.schoolpay.com/link/2016-17yearbook. Lost and Found – As the academic quarter ends, please remember to check the Lost and Found for any belongings your family may be missing. Soon these items will be bagged up and donated to charity. This area is kept neat and orderly by Rebekah Folsom (she even washes out plastic lunch containers) so be sure to give her a big thanks when you see her. Informational meetings for the lottery process are coming up soon for prospective students for the 2017-18 school year. Meetings are Feb. 8 @ 5:30 pm, Feb. 15 @ 3:30 pm, and March 1 @ 5:30 pm. If you have siblings you plan to enroll for next year, you do not need to come to the informational meetings. However, you do need to complete a Statement of Understanding (available in the office starting Feb. 8) and an Enrollment and Transfer Lottery Application (available online on Feb. 8). To receive sibling preference, you must have a child currently attending Winterhaven this year who will be also attending next year. If you have questions, please check with the main office.